Cashwell has 11 locations in North Carolina and Virginia, offering premium brands and superior service at competitive prices. Cashwell Appliance Parts now stocks Whirlpool Appliances. We have refrigerators, washers, dryers, ranges and microwaves in stock now. If you have any questions, please be sure and ask your sales representative. Cashwell Appliance Parts now stocks parts for LG, and Samsung appliances. At this time we can only supply parts for products that are out of the original manufacturer’s warranty. Please ask your sales representative if you have any questions. If it’s an air filter you need…then let Cashwell be your supplier for air filters. We stock the standard fiberglass disposable filters by size, cut-to-fit foam, or aluminum A/C filters, electrostatic filters, and range hood filters. We also stock filter material in bulk rolls or if you have a special size or odd-shaped aluminum filter, we can order it to your specifications. If you have any questions, please ask your salesperson. Let Cashwell Appliance Parts be your supplier for all of your refrigerant needs. We stock R22, R134A and a variety of R12 replacements including Hot Shot and R414A. Thank you for holding; the next available sales representative will be with you shortly! please ask your salesperson and they will be sure to get you one. Just a reminder, Cashwell Appliance Parts will be hosting a regional USA/ASTI school in Charlotte, North Carolina on November 4th and 5th. More details will be coming soon. As you are probably aware of, Whirlpool and Electrolux are adding “Core Charges” or “Dud Fees” to certain electrical items. To assure credit is issued on these items, Please use the following procedures on returning these items to us. If the item has a Core or Dud fee, there will be a line on your packing slip showing the fee. All Core or Dud returns must be sent back in the original box the new one came in. If it is not in the original box Whirlpool and Electrolux will not issue us credit. Please include a copy of the packing list with a note telling us that it is a Core or Dud return for credit. You are responsible for getting the item back to us, a return authorization is not required for Core or Dud returns. If you have any questions, please ask your sales representative. This is a reminder that we will be closed on Friday, July 3rd to observe Independence Day. We will be back open Monday, July 6th to help you with all of your appliance parts needs. Also, UPS and FED-EX are operating on a normal schedule. Cashwell Appliance Parts and its employees would like to wish you and your family a happy and safe Independence Day. June has arrived and that means its Frigidaire month at Cashwell Appliance Parts. Check out this month’s flyer and take advantage of the huge savings on all fast moving Frigidaire parts, including compressors, defrost timers, icemakers, surface units, dryer elements, belts, pumps, and air conditioner thermostats. All of these items plus many more are on special this month. Don’t forget the Frigidaire line includes Frigidaire, Gibson, Kelvinator, Tappan and White-Westinghouse. If you have any questions or haven’t received your flyer, please ask your salesperson and they will be glad to help you. Let Cashwell Appliance Parts be your supplier for all of your refrigerant needs. We stock R22, R134A and a variety of R12 replacements including Hot Shot and R414A. Sometimes it is necessary for you to call us when we are closed. If you leave an order on the recorder please be sure to give your company’s name, your account number, and what city you are located in. Also, when placing your order please give us the part number or the complete model number with a detailed description of what parts you need. 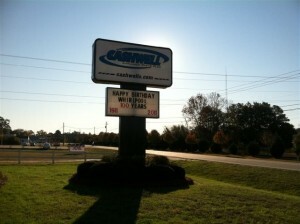 For more information about the products and services we offer, check us out on the web at www.cashwells.com. Or e-mail us at sales@cashwells.com. Are you having trouble finding an odd-shaped or old-discontinued heating element? Cashwell Appliance Parts can order “custom made elements” for various applications, including old-discontinued elements for ranges and commercial cooking. You can send us your old one, call us with your specifications, or even sketch old element with dimensions and specifications on a piece of paper and send it to us. Turn around time on “custom made elements” is 7 to 10 days. 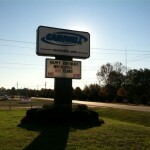 Here at Cashwell Appliance Parts, providing our customers with outstanding customer service is our number one priority. If you are a frequent caller, you may have experienced being put on hold automatically between 2-4 pm. This is our peak period when everyone is trying to place their order in time to assure same day shipping. During this period we average 200 calls per hour at an average of 3-4 minutes per call. For your convenience, we have a few other ways for you to place your order. We have a 24 hour toll free fax line which is 1-800-277-2811 or you can leave your order on our recorder after hours. If you have a PC you can e-mail your order to sales@cashwells.com or join our “Cashwells Online” program which enables you to place orders, do research, check pricing and availability, directly from your PC to our system. If you have any questions about our “Cashwells Online” program, please ask your customer service representative and they will be glad to help you. Did you know that Cashwell Appliance Parts stocks Amana P-Tac units and “through the wall” air conditioners, also condensing units, “heat pump” or “straight air” models manufactured by Goodman. We also stock Frigidaire window air conditioners starting from 5200 BTU’s through 28,500 BTU’s. So, whether you are replacing or repairing an air conditioning unit, let Cashwell Appliance Parts supply you with all of your HVAC equipment needs. If you have any questions, please ask your sales representative, and they will be glad to help you. Cashwell Appliance Parts would like to take this time to remind you about our stock return policy – here is a brief summary. All stock returns MUST be made within 30 days from the date of purchase. All special ordered non-stock items are non-returnable. Stock returns will not be accepted without prior authorization. However, warranty returns do not need prior authorization. All stock returns must be new and unused and in the original packaging. All returns must include a copy of the invoice or packing slip with a note indicating the reason for the return. All electrical items are non-returnable; tools and test equipment are non-returnable. If you have any warranty questions please call us at 1-800-277-0389. Cashwell Appliance Parts distributes parts for such well-known and respected manufacturers as Whirlpool, General Electric, Maytag, Electrolux, Amana, Speed Queen and many more. In addition to a full line of appliance parts, we offer a variety of products including electrical equipment and supplies, flags and accessories, hardware supplies, appliances, air conditioners, and much, much more. If you have any questions, please ask your salesperson and they will be glad to help you. Sometimes when you call and need to order parts by model number you are told that we need another number along with the model number. Here is a list of brand names and what type of number is needed. For Amana, which includes Caloric, Glenwood-Sunray, Modern Maid, Menu-Master, and Speed Queen…we need a manufacturer number and the serial number. For Maytag, which includes Admiral, Crosley, Hardwick, Jenn Air, Magic Chef, and Norge, we need a revision or series number or letter, or the serial number for laundry parts; a B/M or revision number or the serial number for refrigeration, and a serial number or run number for cooking products. For Brown appliances we need the type number. 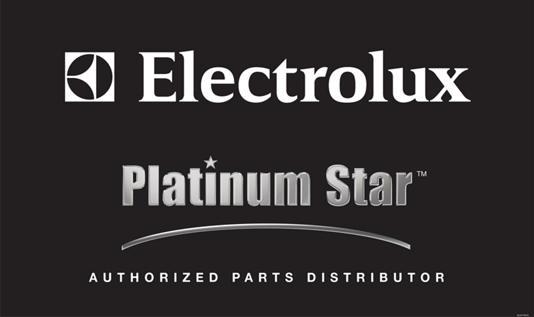 Parts for these brands and many others including GE, Whirlpool and Electrolux are just a phone call away. Founded in 1972, Cashwell Appliance Parts has grown to become a company with more than 100 employees, of which have accumulated more than 900 years of experience in the appliance parts industry. We have 11 different locations across North Carolina and Virginia. In North Carolina we have branches in Asheville, Charlotte, 2 in Fayetteville, including our distribution center, Greensboro, Raleigh, and Wilmington. In Virginia, we have branches in Chesapeake, Newport News, Richmond and Virginia Beach. A reminder about returning special ordered “nonstock” Whirlpool electronic controls. To be able to return the control for credit, the carton must be in original “unopened” factory sealed box or Whirlpool will not accept these items back from us for credit. Please be sure you have the correct part number and have diagnosed the problem correctly. If you have any questions about this, please ask your sales representative. Cashwell Appliance Parts would like to take this time to thank you for your great response to our request for your current 911 address. We strive for excellent customer service and to keep our costs of doing business to a minimum. However, we are still having some problems with correct addresses, especially “suite numbers” and apartment numbers. With UPS charging an $12 fee for address corrections on ground shipments, your current and full address is very important to us, so that we can keep your shipping costs as low as possible. To avoid this fee, please let us know of any address changes you may have in the future. Once again, we would like to thank you for your prompt response to this matter and thank you for calling Cashwell Appliance Parts. Our annual “March thru April G.E. and Whirlpool” promotion has begun. Our G.E. and Whirlpool flyer is packed full of “need to stock, fast moving parts” at “one time only, year low” prices. Take advantage of these huge savings on G.E. And Whirlpool appliance parts and qualify for some great giveaways such as Cashwell camouflaged T-shirts, sunglasses, cooler bags, mini mag-lites and more. So stock up now and have the parts you need, when you need them. Be sure and check out this months “statement stuffer” for great savings on refrigerator accessories. In-Line water filters, icemaker installation kits, saddle valves, supply lines and fittings are all on sale now. So, stock up now and save, save, save!!! Our annual “March thru April G.E. and Whirlpool” promotion has begun. Our G.E. and Whirlpool flyer is packed full of “need to stock, fast moving parts” at “one time only, year low” prices. Take advantage of these huge savings on G.E. And Whirlpool appliance parts and qualify for some great giveaways such as Cashwell camouflaged T-shirts, sunglasses, cooler bags, mini mag-lites and more. Also, be sure and checkout your “statement stuffer” for great savings on the “fastest moving – need to stock” Frigidaire Appliance parts. So stock up now and have the parts you need, when you need them. Online payment option coming soon!!!!!!!! Cashwell’s 20th Golf Outing was a a smashing success with a 122 players and a door prizes for all. Willis cooked a great pig and we enjoyed some music as we ate along with a few corn hole games. Mark and Mindy got a cake to celebrate their union. Cashwell Appliance Parts would like to take this time to thank you for your great response to our request for your current 911 address. We strive for excellent customer service and to keep our costs of doing business to a minimum. However, we are still having some problems with correct addresses, especially “suite numbers” and apartment numbers. With UPS charging an $11 fee for address corrections on ground shipments, your current and full address is very important to us, so that we can keep your shipping costs as low as possible. To avoid this fee, please let us know of any address changes you may have in the future. Once again, we would like to thank you for your prompt response to this matter and thank you for calling Cashwell Appliance Parts. Don’t forget to check out this month’s flyer and take advantage of the huge savings on all the “fastest moving – need to stock” Frigidaire parts, including water filters, defrost timers, icemakers, surface units, switches, dryer elements, belts, spray arms and pumps. All of these items plus many more are on special this month. Don’t forget the Frigidaire line includes Frigidaire, Gibson, Kelvinator, Tappan and White-Westinghouse. Also be sure and look at our statement stuffer for great savings on tank top LP heaters, fire extinguishers, carbon monoxide and smoke alarms. If you have any questions or haven’t received your flyer, please ask your salesperson and they will be glad to help you. If it’s an air filter you need…then let Cashwell be your supplier for air filters. We stock the standard fiberglass disposable filters by size, cut-to-fit foam, or aluminum A/C filters, electrostatic filters, and range hood filters. We also stock filter material in bulk rolls or if you have a special size or odd-shaped aluminum filter, we can order it to your specifications. Cashwell Appliance Parts is celebrating 40 years in the appliance parts industry and we could not have made it without, you, our valued customers. Special promotions and events, to honor our customers, will be held throughout the year. As always, you are appreciated and “thank you” for your business. Its time to “tee it high, and let it fly.” Our annual Cashwell Appliance Parts golf tournament is coming September 28th at Fayetteville’s Baywood Golf Course. Look in our September flyer or go to www.cashwells.com for your registration form. Remember the registration deadline is September 21st and field is limited to 128 players. Did you know that September is Whirlpool month at Cashwell Appliance Parts. Check out this month’s flyer and take advantage of huge savings on the “fastest moving, need to stock” Whirlpool appliance parts. Dryer elements, bake elements, pumps, icemakers, defrost timers, thermostats, motors, belts, water valves, and many other Whirlpool appliance parts are on sale now. If you haven’t received your Whirlpool flyer or have any questions, please ask your sales representative and they will be glad to help you. Whenever you go to install new appliances, there is always a need for installation accessories. Our September “installation accessories flyer” has great savings on installation accessories including dryer cords, range cords, fill hoses, drain hoses, vinyl and aluminum ducting, icemaker hookup kits and many more appliance installation accessories. Save time and money, stock up now with installation accessories from Cashwell Appliance Parts. If you haven’t received your flyer, please ask your sales representative and they will be sure to get you one. Cashwell Appliance Parts will be hosting a “two” day United Servicers Association Regional meeting on October 4th and October 5th in Fayetteville, North Carolina. Whirlpool and Electrolux will be training on “Front Load Laundry” and other current service issues. Also Bosch will be training on Dishwasher diagnostics. If you are interested in participating, please ask your sales representative for registration details. Sometimes it is necessary for you to call us when we are closed. If you leave an order on the recorder please be sure to give your company’s name, your account number, and what city you are located in. Also, when placing your order please give us the part number or the complete model number with a detailed description of what parts you need. Thank you for calling Cashwell Appliance Parts. Cashwell Appliance Parts now stocks parts for LG, and Samsung appliances. At this time we can only supply parts for products that are out of the original manufacturer’s warranty. Please ask your sales representative if you have any questions. Thank you for holding, your call is very important to us, a sales representative will be with you shortly. “thank you” for your business. Cashwell Appliance Parts stocks “HTH” swimming pool chemicals and accessories. We can supply you with all of your needs for chemicals and accessories, whether you are a homeowner or a professional pool maintenance caretaker. We have chlorine, granular, sticks, or 1 inch and 3 inch tablets; algaecide, “sock it” shock treatment, “ph” adjuster, water test kits, leaf skimmers, and many other chemicals and accessories on sale now. Some of the chemicals have hazardous material shipping charges, please ask your sales representative if you have any questions. Spring is here and summer is right around the corner. Its time to start servicing those air-conditioners, so, save time and money…stock up today on parts and accessories you will need tomorrow. Our current flyer is packed full of fast moving parts at fast moving prices. Included in this flyer are Frigidaire window air conditioners, Amana “thru-the-wall” and P-TAC units, Goodman HVAC products, condenser motors, compressors, capacitors, filters, wall thermostats, transformers, refrigerants, coil cleaners, and many other refrigeration and air-conditioning related parts and accessories. If you haven’t received your flyer, please ask your salesperson and they will be sure to get you one. If G.E. appliance parts are what you need, let Cashwell Appliance Parts be your #1 supplier for G.E. appliance parts. This month’s flyer has huge savings on the “fastest moving, need to stock” G.E. appliance parts. Thermostats, water valves, defrost heaters and timers, icemakers, surface units, switches, bake and broil elements, dryer elements, belts, pumps, and many more G.E. appliance parts are included in this flyer. Also, don’t forget the G.E. line includes Hotpoint and RCA. If you have any questions or haven’t received your flyer, please ask your salesperson and they will be glad to help you. Its time to “tee it high, and let it fly.” Our annual Cashwell Appliance Parts golf tournament is coming September 28th at Fayetteville’s Baywood Golf Course. Look in our August flyer or go to www.cashwells.com for your registration form. Remember the registration deadline is September 21st and field is limited to 128 players. Also, receive a huge discount if you register by August 31st. Pig picking after golf. This is a reminder that we will be closed on Wednesday July 4th to observe Independence Day. We will be back open Thursday, July 5th to help you with all of your appliance parts needs. Also, UPS and FED-EX are also closed Wednesday July 4th. Cashwell Appliance Parts and its employees would like to wish you and your family a happy and safe Independence Day. Cashwell Appliance Parts now stocks Whirlpool Appliances. We have refrigerators, washers, dryers, ranges and microwaves in stock now. If you have any questions, please be sure and ask your sales representative. Thank you for holding, you patience is appreciated. Just a reminder, we will be closed on Monday, May 28th to observe Memorial Day. We will be back open on Tuesday, May 29th to assist you with all of your appliance parts needs. Also, UPS and FEDEX will be closed on Monday, May 28th to observe Memorial Day. Cashwell Appliance Parts stocks “HTH” swimming pool chemicals and accessories. We can supply you with all of your needs for chemicals and accessories, whether you are a homeowner or a professional pool maintenance caretaker. We have chlorine, granular, sticks, or 1 inch and 3 inch tablets; algaecide, “sock it” shock treatment, “ph” adjuster, water test kits, leaf skimmers, and many other chemicals and accessories on sale now. Some of the chemicals have hazardous material shipping charges, please ask your sales representative if you have any questions. Thank you for holding, your patience is greatly appreciated. Sometimes it is necessary for you to call us when we are closed. If you leave an order on our voice mail, please be sure to give your company’s name, your account number, and what city you are located in. Also, when placing your order please give us the part number or the complete model number with a detailed description of what parts you need. Are you having trouble finding an odd-shaped or old-discontinued heating element? Cashwell Appliance Parts can order “custom made elements” for various applications, including old-discontinued elements for ranges and commercial cooking. You can send us your old one, call us with your specifications, or even sketch old element with dimensions and specifications on a piece of paper and send it to us. Turn around time on “custom made elements” is 7 to 10 days. Once again thank you for calling Cashwell Appliance Parts. 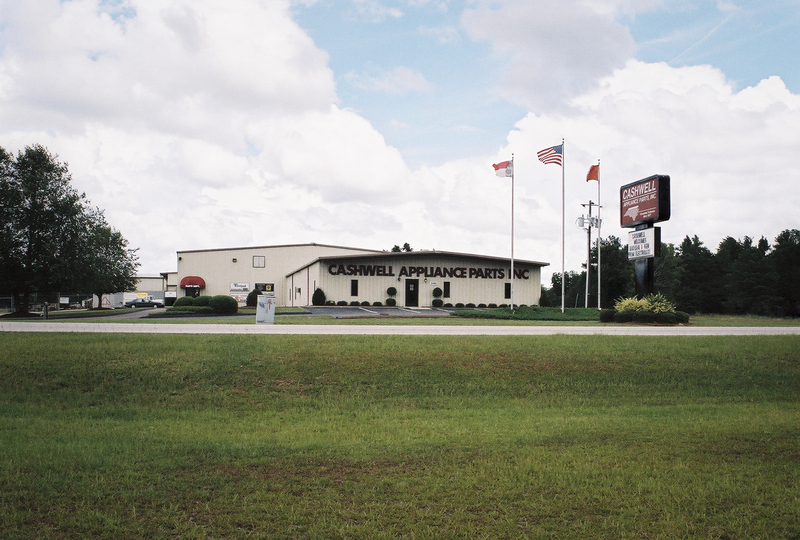 Founded in 1972, Cashwell Appliance Parts has grown to become a company with more than 100 employees, of which have accumulated more than 900 years of experience in the appliance parts industry. 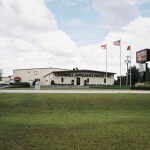 We have 11 different locations across North Carolina and Virginia. In North Carolina we have branches in Asheville, Charlotte, 2 in Fayetteville, including our distribution center, Greensboro, Raleigh, and Wilmington. In Virginia, we have branches in Chesapeake, Newport News, Richmond and Virginia Beach. Thank you for holding; your patience is greatly appreciated. Let Cashwell Appliance Parts keep you warm with a variety of heaters for different applications. We have in stock, bathroom vent heaters that can be mounted in the wall or in the ceiling, electric baseboard and wall heaters for 120 or 230 volt applications. We also have a variety of portable heaters, for your office or workshop, that produce up to 1500 watts of fan-forced heat. All models have comfort level thermostats, overheat thermal protectors, fan-only setting, tip-over safety switches, and handles for easy movement. The difference is the size of the heaters, the “Big Heat” heater is about half the size of a shoebox, great for desktops, the others are a little bigger than a shoebox. So stay “warm” now in those cold situations with heating supplies from Cashwell Appliance Parts, your one-stop-shop for heat. Do you know how to increase the number of complete service calls by having the parts you need, when you need them? Cashwell Appliance Parts has the answer, Our January “recommended stock list” flyer has the “fastest moving need to stock” parts from all of our vendors. From OEM appliance parts to installation items and accessories, there is everything you need to complete your service call without returning a second time. So stock up now and save, save , save. Be sure to ask your salesperson on how to qualify for “Freight Free” shipping. If you have any questions about our “recommended stock list,” please ask your sales representative. Here at Cashwell Appliance Parts we strive to give extraordinary customer service. Our philosophy is to provide the customer with quality parts quickly and at a fair price. We offer toll-free service and same day shipping if your order is placed by 4 pm. This is just another way we work towards receiving TOTAL customer satisfaction. Just a reminder, Cashwell Appliance Parts will be closed on Thursday, November 24th and Friday, November 25th for the Thanksgiving holiday. Also UPS and FEDEX will be closed Thursday, November 24TH. UPS will also be closed Friday, November 25th,however FEDEX will be open Friday, November 25TH. If you have any questions about the shipping schedule during the Thanksgiving holidays, please ask your salesperson and they will be glad to help you.